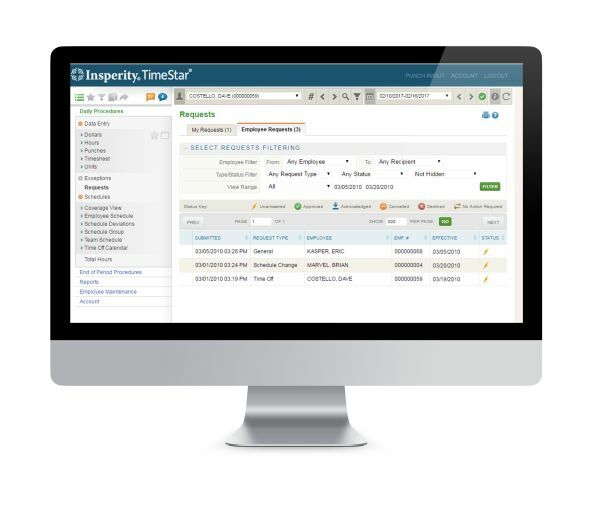 Insperity TimeStar® allows you to collect, analyze and take immediate control of your employees’ attendance and labor data thereby reducing overall payroll costs and ensuring workforce compliance. Integrate seamlessly with leading HRIS, payroll and accounting platforms to meet the unique demands of your organization. Pricing is per employee, per month. Implementation fees apply. For more information on TimeStar®, pricing or to schedule a demo, click here.